The final-year communications students all look set to take the sabbatical positions in this year’s 2014 Students’ Union elections race. Kenneth Browne looks set to become the next DCU SU President, with a massive 71 per cent lead in our opinion poll. 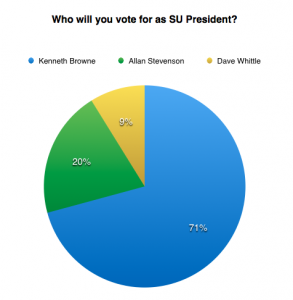 Allan Stevenson has 20 per cent of the vote, while Dave Whittle is in at just two per cent. 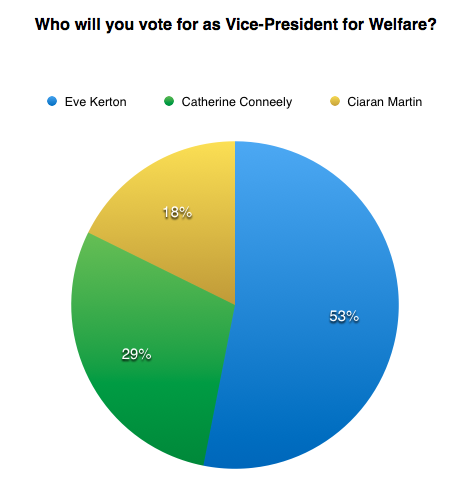 In the Welfare Officer race, Eve Kerton takes just over half of the votes, although Catherine Conneely also has a sizeable amount of support at 29 per cent. Nine per cent of voters are planning on voting for Ciaran Martin. Perhaps more tightly contested than the other sabbatical positions, Fionnuala Moran looks like she will pip the other candidates to the post for the Education Officer position at 44 per cent. 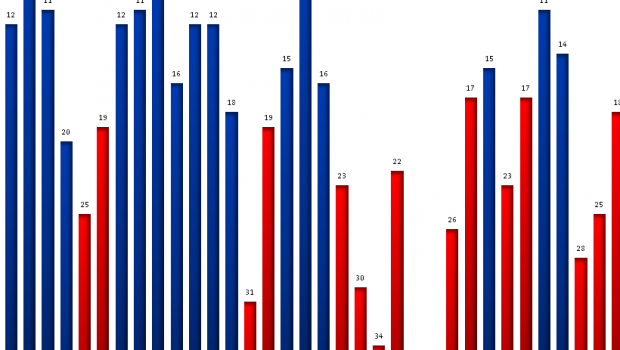 Gary Gillick tails her at 32 per cent while Sean Rooney comes in at 24 per cent. 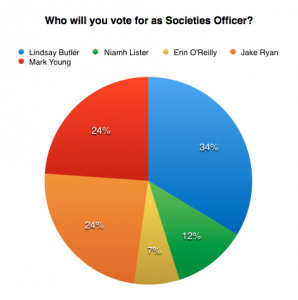 The contest for Societies Officer appears to be a three person race. Lindsay Butler leads with 34 per cent, with Mark Young and Jake Ryan both coming in at 24 per cent each behind her. 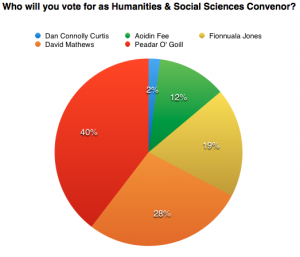 In the running for the much sought-after position of Humanities and Social Sciences Convenor, Peadar O’Goill has a clear lead over the other candidates at 40 per cent. He’s followed by David Matthews at 28 per cent, Fionnuala Jones at 19 per cent, Aoidin Fee at 12 per cent and Dan Connolly Curtis at two per cent. 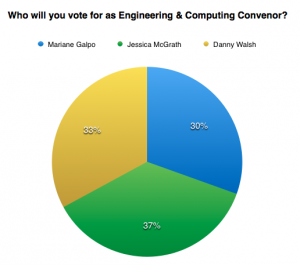 It’s a very close race for the position of Engineering and Computing Convenor. Jessica McGrath just has the lead over Danny Walsh and Mariane Galpo although it’s still too close to call as voters take to the polls over the next two days. Voting begins at 10am today and polls will remain open until 9pm. They will re-open tomorrow from 10am-5pm and counting will begin on Friday morning. Students can vote at any of the polling stations located on campus. Polling stations will be located in the Hub and The Street in the Henry Grattan and a floating station can be found between the Nursing Building, the Library and the Business School. Students must bring their student card or a letter from the Registry in order to cast their votes. Students will also vote on whether to fund the new student centre on campus over the next two days. For more about that referendum, click here.